A Summer of Festivals with one common denominator: A flight on the wings of love…! It feels like my summer actually started in April with the Festival Dell’Oriente in Rome, where I plunged into the inebriating fragrances, colours and sounds of the East. 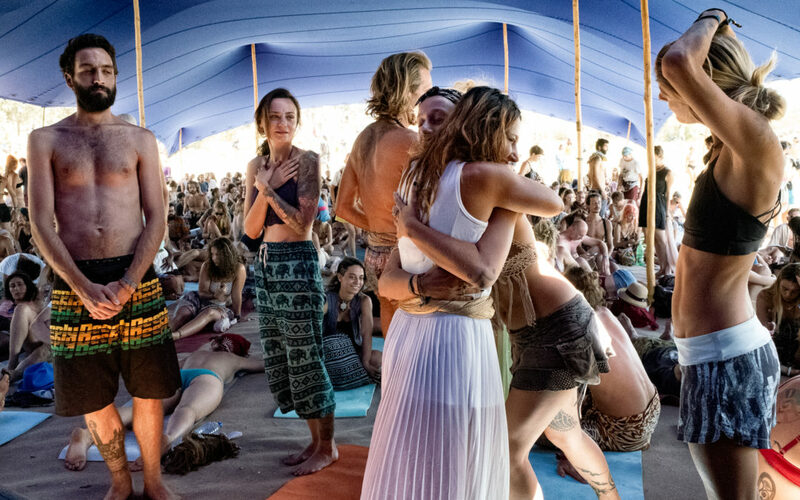 This was my first time performing on that stage… and it filled my heart with joy; I also had my own sound space, where I could welcome visitors and friends… and meditate together. Then in May I travelled to London, where I sang at Mantratherapy, an amazing event conceived and run by Prashant K and many of his friends, to share the power and beauty of Mantras, before travelling on to the Mind Body & Spirit Festival, where I performed meditative concerts of voice and crystal bowls in a yurt to packed audiences. My European Festival tour has now come to an end… and when I look back I see that as well as all the amazing experiences and people I’ve met, it has reinforced my conviction that everything is possible… with the powerful energy of love in our hearts…!